What’s Dishonored 2 Really About? I finally just finished up Dishonored 2, and while I’m not going to “review” it, I have a couple fairly broad things to write about my experience with the game overall. Its later parts certainly live up to what I’d played at the time I put it in my 2016 game of the year list. What stands out to me coming off it though is that while Bethesda and Arkane billed it a stealth game about eliminating targets, I spent a whole lot of time doing nothing related to eliminating targets. I wanted to finish both Deus Ex: Mankind Divided and Dishonored 2 before I wrote this post, but I didn’t have nearly enough time before I had to start thinking about 2016 end-of-year recaps. I managed to get through a healthy chunk of Mankind Divided but only part of the first real mission of Dishonored 2 as of this writing. Still, even from that much I can sense some subtle but important differences between the games. [Game Awards 2016] So What Is Prey? Like usual I pretty much skipped this year’s Game Awards and just caught the trailers as they appeared. I thought they looked pretty great. I’m hyped for The Legend of Zelda: Breath of the Wild. I’m not sure yet what to think of Mass Effect: Andromeda, I’d really like to get a better sense of that game’s scale. I’m not going to say anything about Death Stranding until I see an actual game being played. The one game I actually have something to say on though is Prey. What Does Dishonored 2 Really Bring To The Table? Review Code Controversy: Do You Really Need To Be There On Day One? As I continue through an absolutely massive backlog of unplayed games, this fall I finally decided to arrive at the very beginning of one of today’s most popular genres in video games. 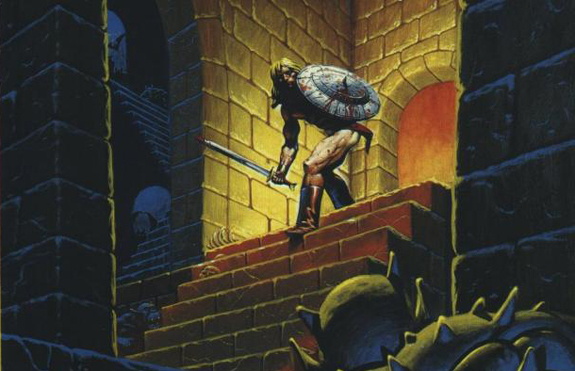 For a game I only found out existed maybe two years ago, Ultima Underworld comes off as a forgotten nexus of 3D game design fundamentals from a lost era of innovation. I may have noted it before, but the 1992 Ultima Underworld: The Stygian Abyss is the reason we have games like BioShock and Elder Scrolls. Even Demon’s Souls might owe its existence to this game. It’s credited with basically inventing the 3D first person RPG hybrid genre… except it was created around the same time first person shooters were really getting started. When I first checked this game out I assumed it would use a whole lot of 2D trickery to approximate what you would see in Skyrim 19 years later. What I got was what looked like a full-fledged RPG running on the original DOOM’s graphics. I like playing old school DOOM partly because I have a thing for ultra-simplistic 3D graphics, and Underworld let’s me explore a whole world of secrets, characters, and open-ended tactics with that kind of visual style. What’s amazing about this is that it came out a few months before Wolfenstein 3D, and about a year before DOOM popularized first person games. The game has players cast into a massive failed underground society filled with opposing factions, bartering with each faction in order to explore the levels and eventually track down a missing girl — BioShock 15 years before BioShock basically. The eight levels of the Stygian Abyss are the forerunners to the districts of Rapture and the decks of Dead Space’s USG Ishimura. The deal with Underworld though is that it’s actually an incredibly dynamic game, even by modern standards. Most NPCs can be bargained with, doors can be broken down, and as soon as you start the game there are already multiple directions in which you can travel. Bits of information strewn about the environment inform you on how you can deal with certain characters to gain their favor in a dynamic conversation system (including learning a fictional language). Underworld feels every bit as systemic and complex as Fallout 3 and Skyrim do today, with most of the fundamental mechanics of those games in-place. A crucial difference though is that Underworld gives you virtually none of the information that game designers today probably consider critical. No objective markers, no reminders, no hint popups, no damage indicators, no tutorial (except the manual), etc. All the game gives you is an auto map… with no icons. What you DO get though is the ability to type down notes on top of the map. The game expects YOU to manually record every single piece of information you get. So what you have here is proof of how little 3D role-playing games have actually advanced in the last 21 years. I would say the main difference between then and now is interface, because I can’t ignore here how archaic Underworld’s controls feel. It’s a game from before the era of mouse-look and standard FPS controls, so it has its own weird system for moving around. Interacting with everything requires different “modes” to be clicked on and so forth. The whole thing was a learning experience I spent a day reading manuals just to figure out. It makes the pace of this game much slower than its descendants. This is the only reason I’d suggest caution before buying Underworld on GoodOldGames if you’re a purely modern gamer. The thing is though, I end up liking a lot of old school games despite certain aged aspects because they tend to have other qualities modern games might lack. They might feel simpler, more intuitive, or just plain better-designed than today’s hand-holding experiences. This is certainly true if you compare Underworld to BioShock for instance, but I’m not sure if this game is better than Arx Fatalis in a 1:1 comparison. I haven’t played Arx in about a year, but thinking back it feels like a legit polishing of Underworld’s design with more modern interface trappings. Arx was basically supposed to be Underworld 3 (even one of Underworld’s original designers worked on it), just without the license, and it definitely feels like Underworld but running on Halo Combat Evolved graphics instead of DOOM graphics. All I’m saying is, if you want the kind of experience Underworld offers but can’t get past how ancient the game looks and feels, Arx is the closest modern equivalent. If even that feels too old, then I don’t know man. Dark Souls maybe? What get’s to me is how DOOM ended up becoming the game that got all the fame for popularizing first person games when Underworld was far more complex and beat DOOM to the market by a year. Maybe it’s in fact because of the complexity — maybe the mass audience just wanted a simple shooter to deal with the jump to 3D. It’s probably because DOOM was shareware for two years and the Underworld developers didn’t get a deal for a Windows version (the GOG version runs on DOSBOX). Borderlands 2 kinda crept up on me, and one look at my fall release chart has let me know that the 2012 gaming crunch season has already begun. Worst of all, this is probably the most broke I’ve been for the fall in years. There actually isn’t a whole lot that I’m 100 percent ready to buy right now. Mostly it’s games that I plan to rent then possibly buy later. Even stranger is the platform distribution I’m looking at here. Borderlands 2 is the first such game that I plan to rent first despite the pressure I’m feeling from my Steam friends list. It was the same with the first game too, and after a PS3 rental I only declined on it because I already had enough loot games on my plate what with three Phantasy Star games, Torchlight, and DeathSpank. Now, Borderlands 2’s only competition seems to be Torchlight II (didn’t’ really get into the big DIII), which I seriously need to consider. It’s a third the price of Borderlands 2 and I’m actually intrigued with how different it looks from the first game. The game that I’m really pulling for but still only renting thus far is Dishonored. I think I’ve talked before about how that game is pushing all the right buttons for me – the designers seen to really understand stealth gameplay and their pedigree is highly auspicious. Arkane (and in a way ZenMax in general) just seems like the kind of company that hasn’t gotten caught up in making games that will sell lots of copies, and just wants to make quality games. Despite that I’m still only gonna be 99 percent sure on Dishonored until I’ve actually played it. A demo would really help me out. Hitman: Absolution is another one that I’ve become more optimistic for as the weeks have gone by, but I still remain cautious on it. 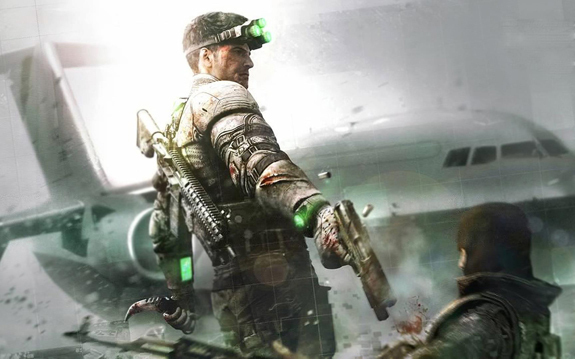 Earlier this year the press and previous made it feel like another Splinter Cell Conviction – an “action stealth” game with the challenge and cerebral gratification replaced by the visceral, or what the developers think of as visceral. The more recent gameplay videos however have begun to restore hope for the open-ended “public stealth” game that Hitman fans love. Far Cry 3 rounds out the stealth trio for me. Far Cry 2 was a flawed gem in my opinion that didn’t have the impact on the industry that it should have. In a world of increasingly linear shooters here we have a completely open-world first person shooter. It’s one of the only games that really let’s the player stretch out with their own style. Industry trends make me worry that Ubisoft will somehow screw up the formula in the name of accessibility. It’s probably a hard balance to nail exactly what I liked about FC2 while getting rid of that game’s problems, but every preview I’ve seen of FC3 so far suggests the game is heading in a direction that I like. So far, there are only three new games that I absolutely intend to buy this fall, and two of them are handheld games. Other than Assassin’s Creed III I plan to get two relatively under-the-radar games this fall. They are Epic Mickey: Power of Illusion, and Zero Escape: Virtue’s Lat Reward. If you still don’t know, Power of Illusion is actually being positioned as a sort of spiritual sequel to the Castle, Land, and World of Illusion games for the Genesis and Master System. Mickey Mouse platformers used to be excellent games back in the day and it’s great that they’re capitalizing on the Epic Mickey IP for a chance to make another one. Does anybody even really care about the console versions? Virtue’s Last Reward is pretty much the sequel to Nine Hours, Nine Persons, Nine Doors for the DS – the first visual novel that I genuinely enjoyed. Despite the lack of gameplay, turns out all it took for me to enjoy one was a good storyline. Now I’m invested in Kotaro Uchikoshi’s writing and hope this game can build off of 999’s success. There are a few other games I plan to buy this fall, but all of them are HD ports of old games. With my bank account in its current condition those are almost all I might be able to afford. Jet Set Radio should be out on Steam around the time I post this. I never got it play NiGHTS Into Dreams, Okami HD seems to be making all the right moves, and Zone of the Enders HD Collection is still slated for 2012 in North America. DOOM 3 BFG Edition is also a maybe. What I find odd is that no console games are on my list this year. Other than Okami and ZOE on the PS3, everything I’m buying this year I’m buying on either PC or the 3DS. Oh I’ll rent all those games I’m trying out on the Xbox 360 – one of the top reasons I even own one is because I can’t rent PC games. Despite PC having been my main game platform this generation this is the first year where this has happened. Hopefully the Vita’s manga reader goes worldwide. Like I indicated previously, it would bring some new content to the platform. On top of that, manga has been woefully behind on the digital front for years now. It’s gotten to the point where piracy is ripping the media apart, and the publishers back in Japan are doing almost nothing about it. This better turn into something: http://t.co/vBZeA15a Patlabor 2 was a great anime film but to be honest about 80 percent of it could have been live action. It’s basically a detective movie where giant robots appear for maybe five minutes. Only the very beginning and very end would’ve needed some special effects. Hoping that Dishonored becomes 2012’s breakout hit, I’ve been investigating the developer’s two previous games. After the fantasy action of Dark Messiah: Might and Magic, I’m not sure if I should be surprised that Arkane’s first game, Arx Fatalis, is the more ambitious of the two. In my previous post about Dark Messiah I talked about how the game by its cover and reputation looked like a smart, relatively open-ended RPG, but in reality turned out to be a first person shooter with swords and spells instead of guns. Still a good game showing off a clear understanding of stealth game design which I hope Arkane reproduces in Dishonored, but also quite modest. Arx, which came out in 2001 and 2002 for the PC and Xbox respectively but got overshadowed by Morrowind,is more what I was looking for – an overlooked dungeon crawling classic. For anyone still planning to get their free copy of Arx with that Steam pre-purchase of Dishonored, it’s kind of a hard game to describe if you’ve only been experiencing western-style first person action RPGs on the Xbox 360 and PlayStation 3. Arkane wanted to make another installment of Ultima Underworld – the series that eventually led to System Shock which then lead to Bioshock, but EA wouldn’t give them the rights. So, Arx is what we got instead. GiantBomb has a family tree explaining the situation. I still haven’t played Underworld, but in relation to current gen fare, you might be able to get away with calling Arx BioShock in a subterranean fantasy kingdom with much heavier RPG elements… sort of. Actually, to me Arx eventually felt very much like a Metroidvania, complete with discoverable warp points between areas. Anyway, at the very end of the main quest as of this writing, the game has turned out to be deep, intricate, and surprisingly open-ended. While hunting for a magic shield in a crypt in order to bribe a group of rebels, I found myself knee deep in zombies who poisoned me to the touch, all while trying to work out the proper sequence of switches to unlock the main gate and avoid booby traps. Scrounging for wooden stakes to make sure the zombie stay dead, I stumbled upon a secret passage to a cave where I was horrified to hear the heavy footsteps of trolls. Further in I see a group of them fighting some goblins. As one troll stands victorious I decide to use some of my bottled water to put out nearby torches and wait at the end of a dark hallway, bow drawn, ready to make a distant stealth kill. Some 15-odd hours later, a side quest rewarded me with an amulet that would have made all those trolls non-hostile. From the minute you start, breaking out of a goblin prison armed with little more than a bone and some rope, Arx presents itself as a game about using whatever resources are available to you. In the fashion that today’s action RPGs have carried on, Arx gives you several styles of play, but it’s not like picking the most entertaining ways to kill enemies. I’ve had to sit down and mull over enemies and obstacles for minutes at a time, trying to figure out an effective combination of spells and stealth arrow strikes. Arx also urges you to explore it to the fullest extent, which is typically how most problems along the way are solved. What really caught me off-guard was how puzzle-heavy Arx is. There aren’t very many environmental or traditional puzzles to solve, but compared to modern games Arx doesn’t tell you exactly what you need to do to advance the plot. The protagonist has a journal, but the game trusts players to know the rules of its mechanics as well as the workings of the universe and what the characters in it might want. There were several points in the game where I’d end up off exploring on my own for hours, eventually ending up in places way beyond where I was supposed to be, and getting rewarded for it. If I’m not mistaken, it’s actually possible to forge the game’s strongest sword very early on if you do a lot of extracurricular exploration. Although Arx doesn’t have a huge number of side quests, the world here does contain its share of fulfilling secrets, including more than one completely optional area. If anything in Arx is outdated it’s obviously the early Xbox 1-era graphics. Even there though, I think they did a really good job of making the end product look like the original art direction. The cut scenes, many of which are told with still paintings, also look very nice. It all fits together visually, at the very least. The control interface is pretty oldschool too. The item management system take some getting used to and Arx uses its own brand of real time combat and spell casting. I really was not prepared to find a game like Arx Fatalis tucked away in time like this. Other than Demon’s Souls and Dark Souls (as well as probably Legend of Grimrock) I think it’s the last “real” dungeon crawler, given how far removed Bioshock is from the common ancestor both games share. Arx isn’t just good for being the “last” either, as a product and experience it feels more complete than most modern RPGs do, and this is all for $5, or a Dishonored pre-order on Steam. Lightning Returns looks like an attempt at “Final Fantasy: Skyrim” to me. Even the logo and font are evocative of Bethesda and Skyrim. I know I’ve talked about the fall of game genres here more than once before, but I don’t think I’ve done a post specifically about the fall of stealth games. It really is kind of pathetic when you look back at the past console generation. It’s not really a mystery what happened to the genre – the same thing that happened to horror games and pretty much anything that wasn’t a shooter or an RPG. Sneaking around unseen isn’t as accessible as just shooting a dude in the face and getting some experience points for it. What’s the worst though is when developers play at stealth while turning it into a straight shooter. Ubisoft just released another 10 minutes of Splinter Cell Blacklist footage that basically looked just like the E3 demo – i.e. like a third person shooter with Assassin’s Creed climbing mechanics. I mean, Sam (or someone trying to impersonate Sam) stayed unseen before he auto-shot each enemy I guess. Maybe that level is more of a sandbox, maybe Ubisoft’ll release a video showing someone playing the same level completely silent with no kills. What really got me down on this Blacklist demo though was the predator strike mechanic at the end. Predator strikes and laser painting targets are two of the things I never want to see again, especially not in a stealth game. What’s really funny is that pretty much every “AAA” game I’m anticipating this fall is a stealth game, or a game that allows you to put a lot of emphasis on stealth. If Far Cry 3 can maintain the sandbox mission structure that the last game had, I will happily crouch, snipe, and stab my way through that game. I am really hoping that I’ll be able to beat Hitman Absolution practically without ever picking up a gun like I did in Blood Money. The real last hope of the genre right now is looking like Dishonored though. When talking about Arkane Studios’ previous game, the 2006 Dark Messiah Might and Magic last week, I went over a little bit how good a stealth game it actually manages to be at times. It lets me know that Arkane get’s it, and so do all the previews for Dishonored. What’s even better is that one of the main guys on the project worked on the first Deus Ex – which was also an excellent stealth game if you chose to play it like one. That’s the key: choice. Stealth is the most appealing when it’s presented among other options. It’s only cool when you chose to complete that objective without being seen when things could’ve gone a multitude of other ways. That’s the main difference between Splinter Cell Chaos Theory and Conviction. When I look back, I’ve realized that my favorite stealth game this generation was probably the first Crysis, which just feels kinda odd. Technically that game is a shooter, but its sandbox nature also allows you to turn the game into something vaguely resembling Metal Gear Solid 3. Deus Ex Human Revolution did a pretty good job too, and if you ask me felt like an evolved first person version of Metal Gear Solid 2. I’ve also played heavily towards the stealth build in games like Skyrim and Fallout as of late. So I guess there is sort of hope for the stealth genre, as long as it’s intelligently combined and contrasted with other play styles. From what we’ve seen, I’m not sure the people working on Splinter Cell Blacklist understand that. Before anyone mentions Theif, I own the first two games but have yet to play them. I’ll try to get to them later this year if I can before Dishonored comes out. Contra: Shattered Soldier and the original Siren headline the beginning of PS2 Classics on the Japanese PlayStation Store. Looks like they’re gonna be getting all the good games over there again.